"Fancy something a bit different on a Sunday? 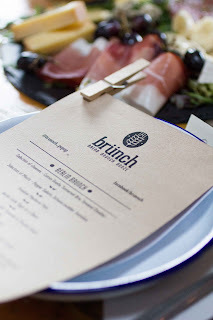 brünch stumbled upon a new roof top bar hidden away above London Fields’ Railway Arches, called Proof°. It is just a matter of time until this gem becomes the ultimate go to place in East London at the weekend and believe us, it will! Beautiful views over London Fields, chill out deck chairs to enjoy the summer sun, tables nestled in huts and a fully equipped bar shaking and stirring seasonal cocktails. Join us at Proof° for our next Berlin-style brunch with live DJ, Berlin drinks, amazing cocktails and bottomless coffee from Volcano Coffee Works, while overlooking the hustle and bustle of London Fields. We are very proud of our drinks menu, which includes some of Berlin's coolest drinks that you will struggle to find anywhere else in London (Club Mate, fritz-kola and Berliner Weisse - red and green ;). And if you like it boozy, Proof° will sort you out with the best cocktails and brünch Specials in Hackney – so come thirsty!"